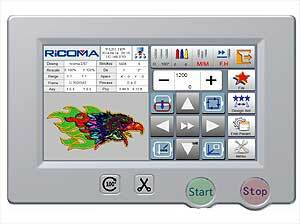 RCM-0601TC-7S has 6 needles, 1 head, color lcd touch screen, 1200 spm, usb port, network port, thread break detection, 22x14 inch field. 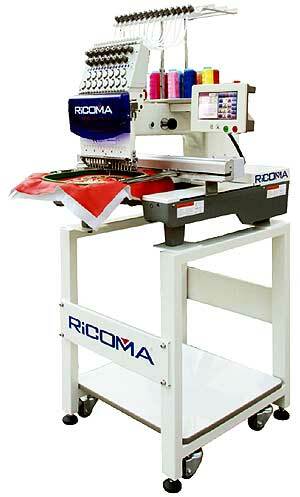 Ricoma RCM-0601TC-7S 6-Needle Single Head Embroidery Machine. 6 needles, one head, suitable for flat bed embroidery, cap/hat embroidery, finished garments embroidery and more. Perfect for home and commercial embroidery. 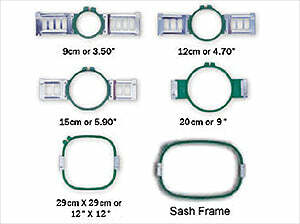 Maximum embroidery area: 550 x 350 mm, or 22 inches x 14 inches. 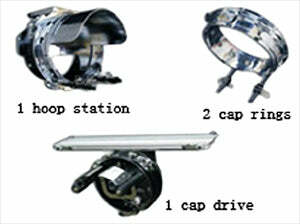 270° wide angle cap system. USB input or direct transmission from PC via serial port or wireless. Servo motor 150W -- lowest power consumption in the industry. Built-in universal power supply, 110V/60Hz and 220V/50Hz self adaptable worldwide. DC36V micro-step motor for X & Y axis driving to ensure low noise and less vibration. Light weight: 90 kilograms or 200 lbs. It can be easily moved around. Heavy duty steel stand with wheels to ensure both stability and mobility. Optional laser trace device available. 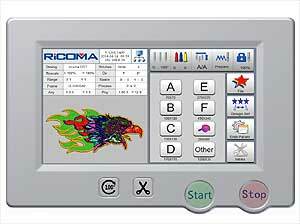 Ricoma RCM-0601TC-7S Color LCD Touch Screen. Multi-languages available in English, Chinese, Spanish, Portuguese, Turkish, Dutch, French, German, Russian, Vietnamese, Thai, Arabic and more. 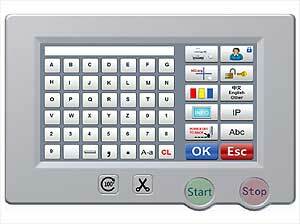 User–friendly operation interface with useful functions that make it easy to operate and increase efficiency. Machine reads multiple design formats, such as DST, DSB and more. Preset 8 sizes of frames to avoid hitting frame. When setting color change sequence, operator is able to add appliqué, sequin, boring or cording. There is no need to change it in the parameters page. Built in button form 172° degrees to 196° under manual color change mode, a great help for machine maintenance. Function keys of frame offset and frame outlining added to operation interface for easy appliqué embroidery and frame change. High Definition true color 7 inch LCD Touch Screen. Multi-angle rotational and adjustable control panel bracket for a better view. Recessed USB port to protect USB flash drive. Main operation area located on the right side of interface, convenient for right thumb operation. One step trace button directly on the main screen. External 100° button and trimming button. Ricoma RCM-0601TC-7S Frames / Hoops Included. 2 x Shirt Front Round Hoop 9 cm (3.5 inches). 2 x Shirt Front Round Hoop 12 cm (4.7 inches). 2 x Shirt Front Round Hoop 15 cm (5.9 inches). 2 x Shirt Front Round Hoop 20 cm (9 inches). 2 x Jacket Back Square Hoop 29 x 29 cm (12 inches x 12 inches). 1 x Sash Frame 54 x 36 cm (21 inches x 14 inches). 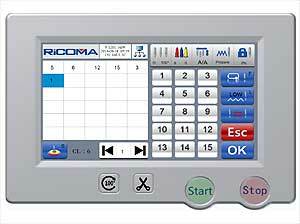 Ricoma RCM-0601TC-7S Cap Attachment Included.